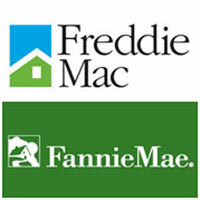 If you’re in the market to buy a new home, be aware that the U.S. Treasury Department is considering a new mortgage fee to fund the backstops it gives for loans purchased through Fannie Mae and Freddie Mac. Analysts say the fee may be up to 1.5 percent of the borrower’s mortgage, which would be a big increase from the current 0.25 percent that both Fannie and Freddie currently charge mortgage borrowers. Plus, it remains to be seen if this new charge would be in addition to that current charge! The Treasury is also thinking about breaking up Fannie and Freddie and selling pieces to the major banks, though most believe it will end up going with the fee. So if you obtain a mortgage for $300,000 you could see an additional fee of up to $4,500 … and the additional cost would just keep rising with the size of the loan. Talk about a reversal from the recently-expired homebuyer credit! Meanwhile, in today’s economy, banks continue to significantly tighten their mortgage lending standards. For instance, on June 1, Fannie Mae put into effect the Loan Quality Initiative (LQI), which requires lenders to pull two credit reports along with additional verification checks on potential borrowers. That means even if you are initially approved for a loan, it can still be put on hold or cancelled altogether if you run-up credit card debts … apply for other new loans of any kind … or otherwise take actions that change your perceived risk profile before the mortgage actually closes. And it’s worth noting that this initiative is mandatory — affecting practically every mortgage lender and secondary mortgage market product! To be sure, a borrower’s credit scores and credit reports are playing a more significant role in whether a loan is approved or not these days. As reported by The Wall Street Journal, the Federal Housing Finance Agency said 55 percent of approved mortgage borrowers’ credit scores were 720 or higher in 2007, and a whopping 85 percent hit that level in 2009! #1. Clean up your credit history. A few months before applying for a mortgage, review your credit report and check for any discrepancies. You can access your credit report from all three credit reporting agencies once a year for free at www.annualcreditreport.com. #2. Don’t become house poor. Be realistic about how much house you can afford. Plan to borrow roughly 2 to 2-1/2 times your annual gross salary. And in these uncertain times, if you’re buying the house with another person, you’d be wise to take on mortgage payments (including taxes and insurance) that can be supported with one income. #3. Know the 28/36 ratios rule. The majority of lenders will back a buyer whose monthly house payment will not exceed 28 percent of their gross monthly income. Lenders also prefer the borrower’s overall debt ratio to fall below 36 percent of their gross monthly income. #4. Use a down payment. Aim to put down 20 percent on your home purchase so that you can avoid paying private mortgage insurance. #5. Get pre-approved.Try to be pre-approved for a mortgage before your home search begins. That way you’ll be able to better focus on the best potential home in your price range and give yourself one additional competitive advantage should you decide to make an offer. And always remember that even though looming new mortgage fees and strict lending standards are making home purchases a more daunting task these days, it is a buyer’s market if you’re well prepared!